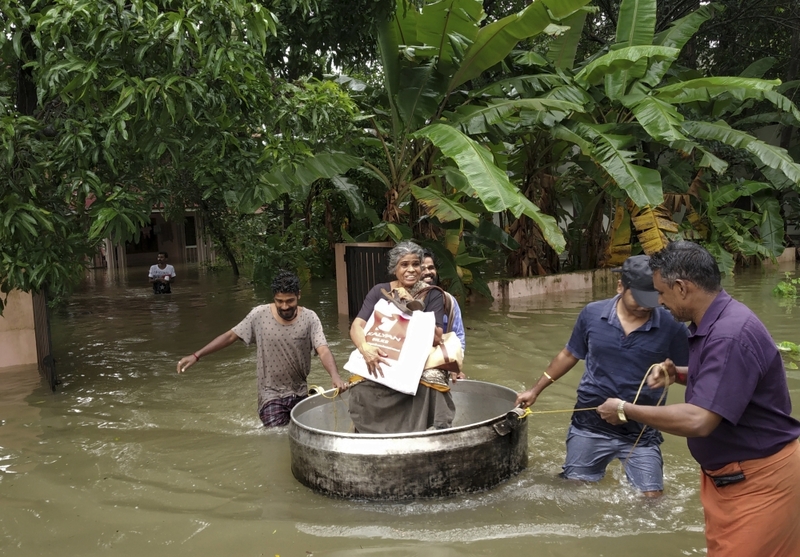 Rescue workers use helicopters and boats to evacuate hundreds of people stranded on their home rooftops following unprecedented flooding in the southern Indian state of Kerala where more than 160 people have died. With torrential rains stopping on Friday, thousands of rescuers worked quickly to shift the marooned people to 1,200 state-run camps where more than 150,000 people already have taken shelter. 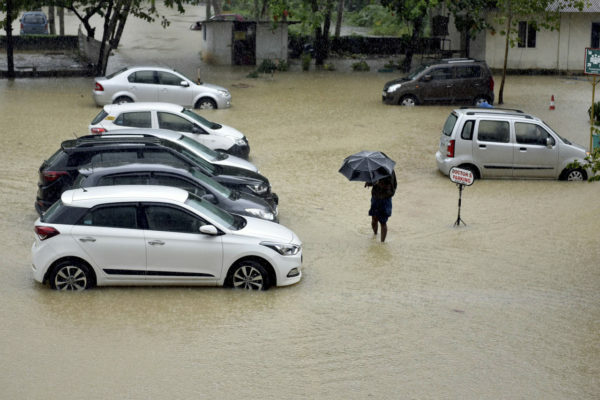 Heavy rains over the past eight days triggered flooding, landslides and home and road bridge collapses, severely disrupting air and train services in Kerala state, a popular tourist destination with beautiful beaches. State officials have put the death toll at 164 since Aug.8. 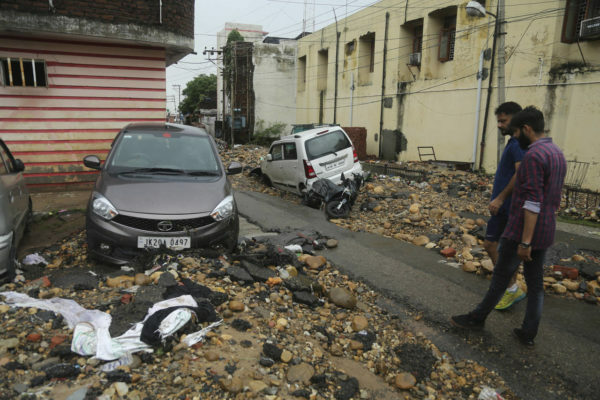 At least 11 people were swept away by a flash flood while picnicking at a waterfall in central India on Wednesday, an official said. District Magistrate Shilpi Gupta said seven others were rescued by helicopter, but 30 people remained trapped on rocks in the river in Shivpuri in Madhya Pradesh state. She said the fate of the 11 missing people was not known. 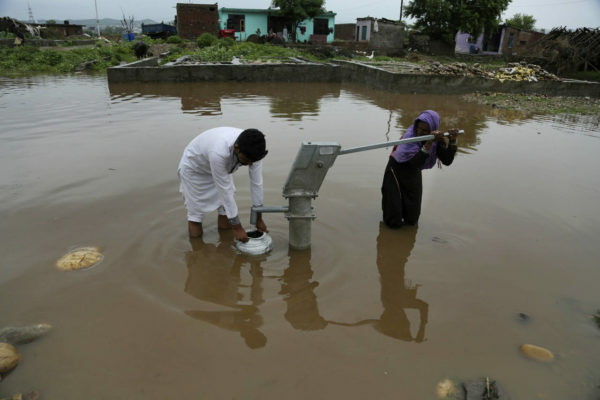 Gupta said the water level in the river rose suddenly because of monsoon rains in the area, about 460 kilometers (285 miles) south of New Delhi. Nightfall was hampering rescue efforts. 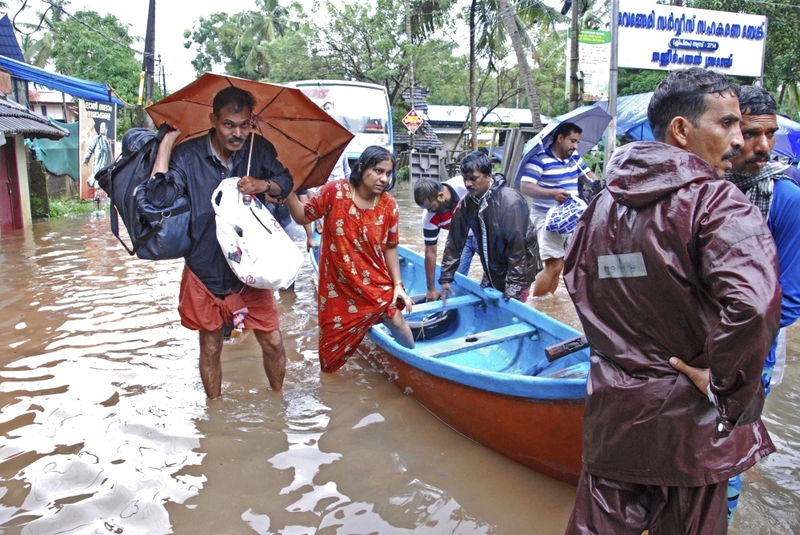 Hundreds of people die every year during India’s monsoon flood season from June to September.